Originally named “Wood Market”, the market was built in 1929 by French ambassador Chassaing and was located at the site where the Hoa Binh Theatre is nowadays, when the population of Dalat grew to 2,000 people. In 1935-1937, the ambassador Lucien Auger decided to build a new brick market on the old base which is more spacious, and was assigned to SIDEC, which is charge of constructing and designing. The new one with a simple unique architecture was the pride of the Dalat people once. To meet the commercial demand of 50, 000 people, Mayor Tran Van Phuoc commissioned two Vietnamese architects Nguyen Duy Duc and Nguyen Linh Chieu to design the market with two floors. The construction was set to work from 1958 to 1960. 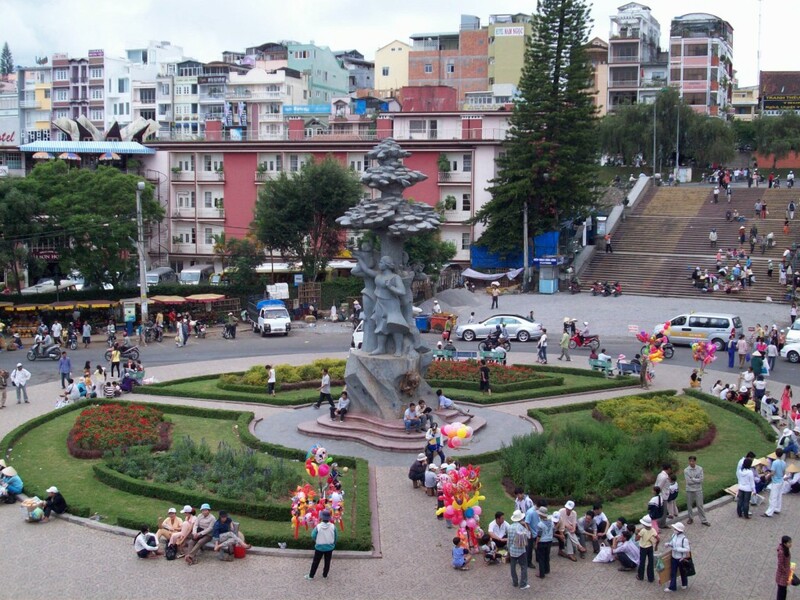 When Ngo Viet was back from France, he designed a staircase connecting the 2nd floor of the market to Hoa Binh Square, roads and buildings surrounding the markets. At that time, the authority commissioned two other architects Huynh Kim Mang and Lam Du Tot to renovate the old market to Hoa Binh Theatre (known as April 3rd Cinema today) with trading pavilions surrounding. 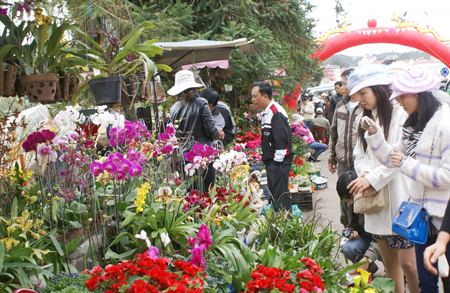 Coming to Dalat market today, visitors can be satisfied with a wide range of goods and clean food stalls and reasonable price. Dalat specialties (strawberries, roses, butter , strawberry jams, strawberry juice, sweet potatoes, dried roses, Grape wine, tube wine and a few other jams ); Food stalls full of dishes from the North Central Vietnam; garment stalls, especially wools (sweaters , wool hats, wool scarves , ... from textiles and handicrafts); souvenirs, etc. 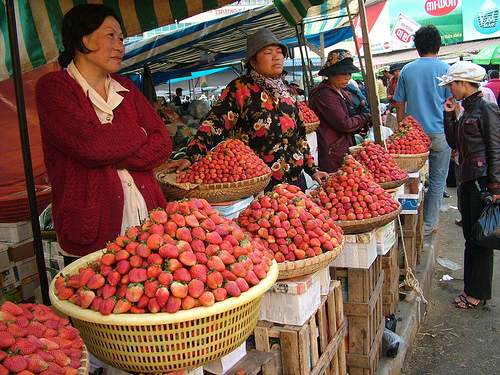 Dalat Market opens at 7:00 A.M and closes at 19:00 P.M daily. Besides, Dalat night market, where there are a variety of products such as wools, food, fruit and vegetables, is an idea place for visitors to do the shopping or just to go for a walk at night in the center of Da Lat city. 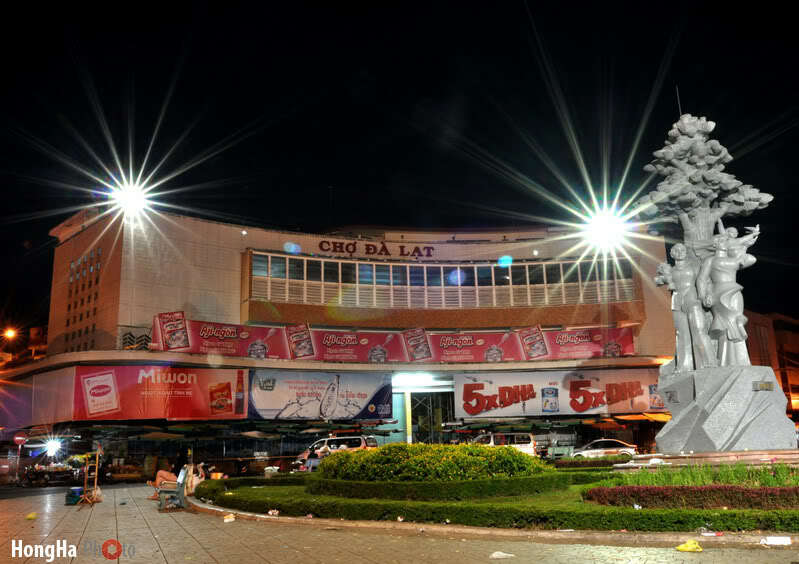 Walking under the chilly air of the mountain town at night, tourists surely experience the pleasure of visiting Dalat’s night market, the city of mist and pine trees. 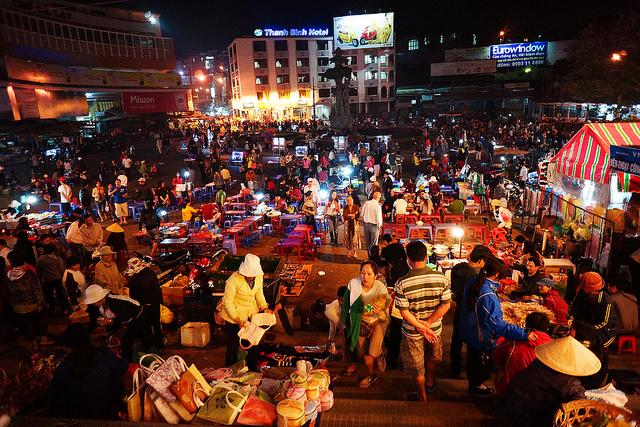 When visiting Dalat, people never forget to talk about Hades Market as a fair beauty of the night. This name was originated from no streetlights there. 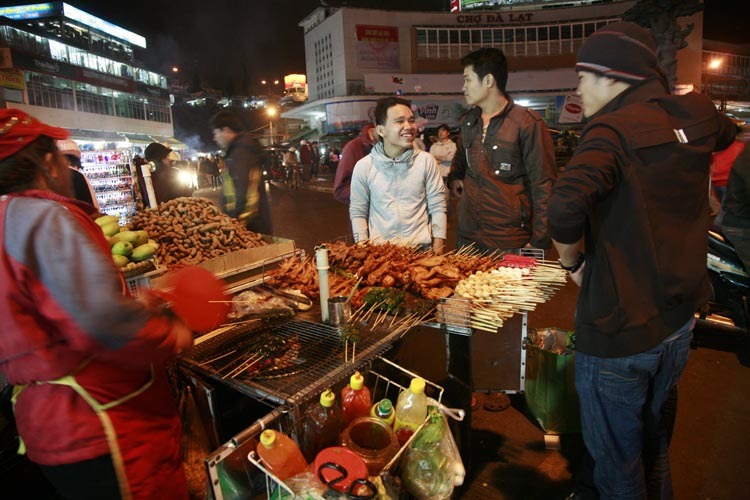 On weekends walkers can stroll to the market on a pedestrian walkway from Hoa Binh Square to Dalat Market that several small food stalls gathering. 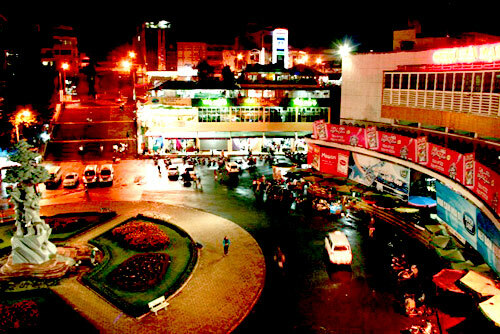 When the sun goes down at 5 p.m., Da lat city is lit up by the bright lights of shops, restaurants and hotels. In the cool night air, visitors put on warm clothes to wander around the small streets exploring the local cuisine. Dalat city which is a famous tourist destination famous therefore has the best foods that cannot be seen anywhere else. Dalat night market is overwhelming with dainty morsels due to extremely chilly cool evenings. Going for a walk to Dalat night market, visitors would be surprised by the mushrooming of a couple small tables and chairs that don’t bother the customers. Most foods sold in this area are too hot for visitors to finish them at once. There are a lot of small food stalls or the elderlies’ trolleys with good tastes and smokes spiraling up. The food smell wakes up visitors’ red nose at cool night air and visitors know they have come to the right place. In addition to the restaurants, visitors can enjoy many popular dishes, unique and very convenient to eat while walking, for example, boiled corns, baked potatoes, and grilled squids. There are also grilled skewers, chicken wings, and chicken thighs. Otherwise, if visitors prefer to eat those things in such crowded place, they can pull the reclining chairs and eat right away despite the crowd around because no one cares of them.